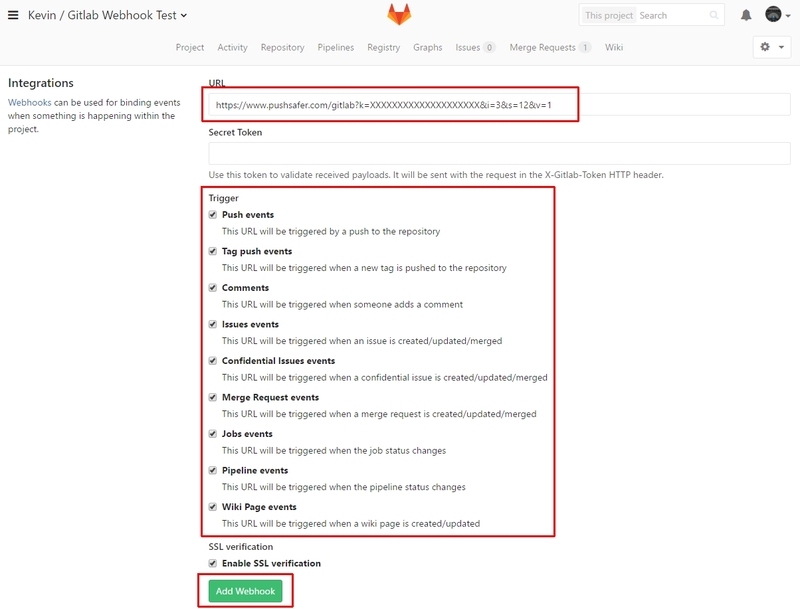 Webhooks can be used for binding events when something is happening within the project. You can add various webhooks for each project. Any API parameters, as found on https://www.pushsafer.com/en/pushapi, can be appended to the URL.